Dolly has been the easiest way to move in San Diego for years, but now, we’re bringing truck and muscle to even more of Southern California. As of today, Dolly is now available in Los Angeles and Orange County! Found a great couch on Craigslist in West Hollywood, but don’t want to sit in traffic bringing it home to Long Beach? Need help moving from Pasadena to your new place in Santa Monica? Ready to bring home that table from Crate and Barrel in the Grove, but live all the way in Moreno Valley? From store delivery to small moves and more, Dolly has your back for any job that requires a truck and some muscle. Download the Dolly app or visit Dolly.com to get started. Relax while your Helper takes care of your move! Looking for a discount? Take $10 off your first Dolly, now through November 30*, using the code HELLOLA10. We’re more than just a few neighborhoods. 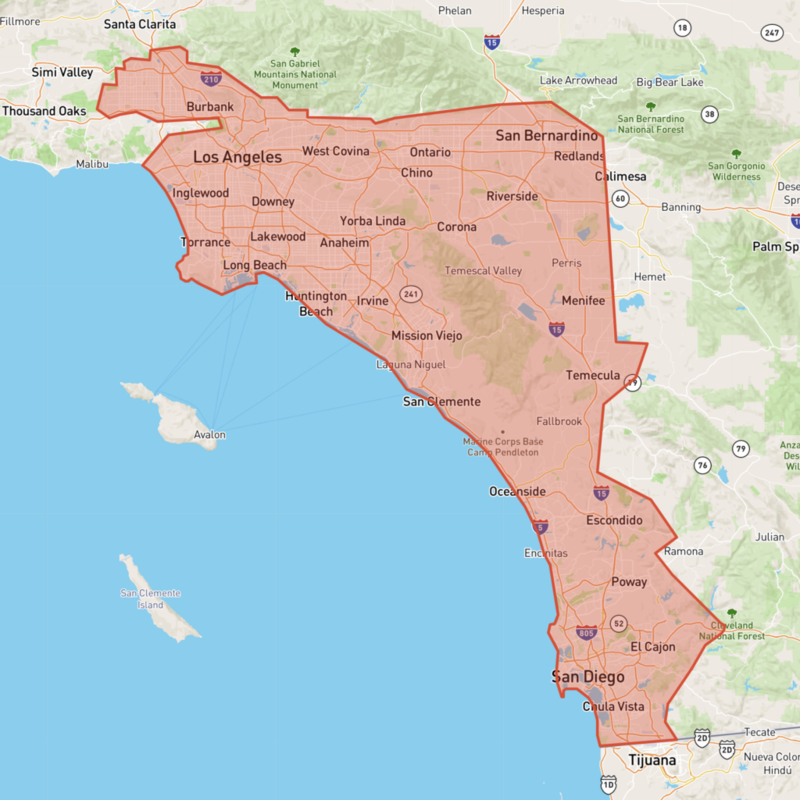 Check out our full Southern California service area map below. Want to see more ways Dolly can help? Check out the services we offer in Los Angeles and Orange County. Outside of SoCal, but want to use Dolly? We’re also available in Boston, Chicago, Denver, Philadelphia, Portland, San Diego, San Francisco, Seattle, and Washington, DC. If you don’t see your city listed, tell us where you’d like us to bring truck and muscle next! *Offer valid for one use. First-time users only. Offer expires on 11/30/18.